Do your kids love LEGO's as much as mine? Would you love to take a family trip to LEGOLAND Discover Center, Westchester in Yonkers, NY? Well hurry up and enter this great giveaway! I am giving away 4 passes to Legoland! I recently had the opportunity to visit with my kids and we had a blast! You can see my full review here. (There is also a coupon for $5 off tickets in that review!) Giveaway is open to US residents ages 18+ and ends August 8 at 11:59pm EST. One winner will be chosen with in 48 hours of giveaway end. Winner will be notified via email and have 24 hours to respond or a new winner will be chosen. Love Giveaways? 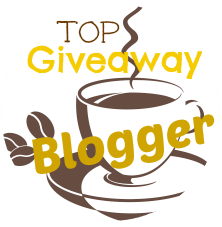 Check out all my other current giveaways here!